An interrupted wedding. A deceitful bride. A devastated groom. Will they forgive each other and allow their love to rekindle? 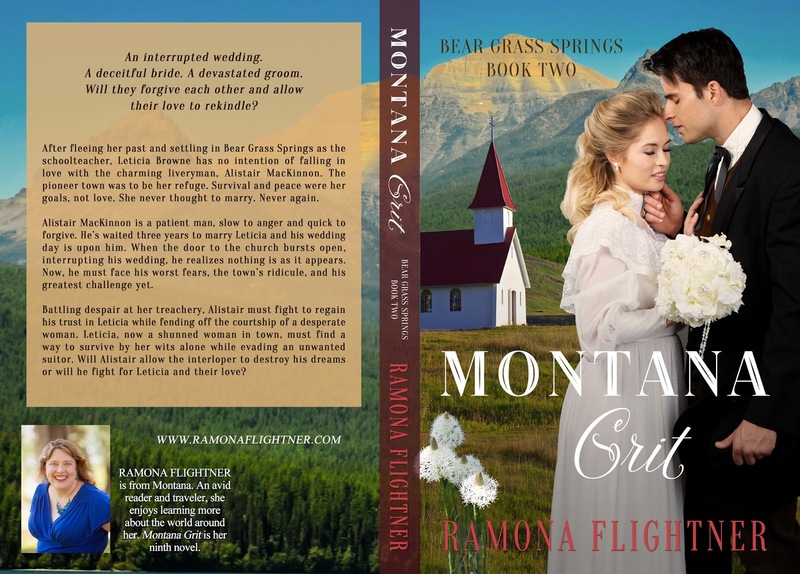 After fleeing her past and settling in Bear Grass Springs as the schoolteacher, Leticia Browne has no intention of falling in love with the charming liveryman, Alistair MacKinnon. The pioneer town was to be her refuge. Survival and peace were her goals, not love. She never thought to marry. Never again. Alistair MacKinnon is a patient man, slow to anger and quick to forgive. He’s waited three years to marry Leticia and his wedding day is upon him. When the door to the church bursts open, interrupting his wedding, he realizes nothing is as it appears. Now, he must face his worst fears , the town’s ridicule, and his hardest challenge yet. Battling despair at her treachery, Alistair must fight to regain his trust in Leticia while fending off the courtship of a desperate woman. Leticia, now a shunned woman in town, must find a way to survive by her wits alone while evading an unwanted suitor. Will Alistair allow the interloper to destroy his dreams or will he fight for Leticia and their love? 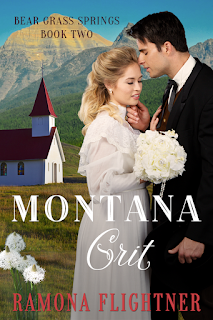 Montana Grit is available for preorder on Amazon, Barnes & Noble, Kobo, and iTunes in ebook and print format. Add it to your shelves on Goodreads, and check out Ramona's website for the scoop on all of her books!